MULTI USE SUPER PRODUCT - 10x very handy 25g sachets of super moisture absorbing and moisture grabbing silica gel. Keep your cameras, lenses and electronic equipment safe from the damp and water/moisture particles in the air and humidity etc. Grabs moisture and protects stored item from damp/corrosion/mildew etc. So many great uses, keeps paperwork and documents and collectors postage stamps in better condition, use for tools and tool chests (helps stops rust) , flower drying etc. etc. Especially recommended when storing electronic and optical/photographic equipment: it could save you a lot of money in future repair bills. Helps to prevent damaging fungal mould on lenses and electronics. Pop a few packs in your camera bag, equipment or binocular case, etc. Silica Gel can be easily re-used: just dry it out. Dropped your phone in water? Leave in a bag of silica gel overnight to help it to dry internally - Better than rice!! Super handy 10 x 25g sachets of super moisture absorbing silica gel. It will help keep your cameras, lenses and electronic equipment safe from the damp and its very damaging effects as it absorbs water particles/vapour that can be found in the air (especially in damp conditions). Buen producto,bien empaquetado. Envío rápido, vendedor serio. Reasonable price, appears to do what it should. Never had a problem with items I've bought from them. They do the job they were designed for, as expected, when it's a 7days product it works. As always brilliant service good products excellent price. Good product that does a great job Good price, speedy delivery and good product. you can't ask for more! Good quality, ideal for my workshop. First class service, very quick. GREAT PRODUCTS. GREAT PRICES. FAST DELIVERY. GREAT PRODUCTS. GREAT PRICES. FAST DELIVERY. Well made look like they will do the trick. Great value as always. Does what is says on the box. Very pleased. 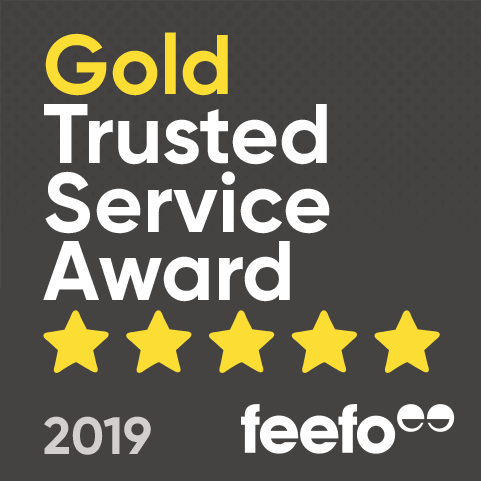 Our customer rated the product 5 stars Used this company again as good last time, was even cheaper this time and the products came the next day much quicker than stated... Very good service. Exactly what was described and needed = One satisfied customer. Nice easy site to navigate, excellent customer service when I rang with a query - have used before and will be using again !!! Bought for a friend and they were delighted with them. Excellent service. Delivery was faster than normal and items are always well packed. Our customer rated the product 5 stars I have used 7day for many years now right from the no VAT days. I don't think I have ever had a bad order or product. Our customer rated the product 5 stars Cheap interesting products, I'm a long time customer and have always been broadly satisfied. Some cheaper products can be lacking on the quality side, but still good value overall. Very useful for packing items which need to stay dry Good quality (as described). Very fast delivery. Would use again, and would recommend to others. Our customer rated the product 5 stars excellent transaction, everything arrived swiftly. Thanks. The sachets are just what I need for my photography bags to keep my gear as dry as possible. I have enough to last me years, nice one. Brilliant service as usual, the silica gel pouches came in a matter of days. Every camera bag should have some of these! Cheap essential - why wouldn't you buy? Always keep at least 2 sachets in camera bags, when out on shoots, when cameras and spare lenses are stored.. In clock cases,I will recomend to friends and family, Seems very good so far. I unusually use this in the biscuit barrel where they keep the biscuits dry and fresh. This product has been placed in electrical boxes that are in our garden to stop condensation build up. They do their job completely. Large packs of the gel for a good price. I use gel bags in camera bags all of the time, to fend off condensation and damp, which as we all know are very damaging to camera equipment especially lenses that are not used very often. Good product and price. Purchase to keep in camera bag and with lenses that I don't use all of the time to ward off damp and condensation, which we all know doesn't do cameras or lenses any good. Great product!! Find them great for keeping condensation away from my camera and camera len's in my camera bag. Great for keeping my lenses and cameras free from damp! So many uses. I use to look after my camera and lenses and put some in my tool box and stamp collection albums, we also throw some in our clothes drawers and it removes any musty smells - great product thanks! Faulty item received. Camera would not communicate with any of my PCs either as a PC cam or media system for viewing recorded files. Otherwise the cam/recorder seemed very suitable for the task and generally good value for money. 7Dayshop gave very professional help and advice and Anett provided faultless communication throughout. Ultimately I arranged a refund because item was out of stock. However, I would definitely consider buying this item again when it is back in stock. Great value, We do a fair amount of photography at scout events which means photography and computer kit in a tent. This is great for keeping the damp away. Good product, perfect for keeping camera equipment moisture-less.